To restore LIFE for those seeking optimal HEALTH and FUNCTION through specific chiropractic care. We offer care for individuals and families starting from birth. Connected Life Chiropractic offers care for a variety of health concerns. Dr Heather and the rest of the staff at Connected Life Chiropractic look forward to hearing from you soon to see how we can help you achieve your health goals. 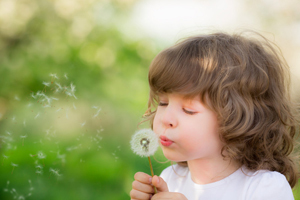 Many patients report relief from allergies and asthma symptoms after chiropractic adjustments. Chiropractic care can help nervous system issues that affect your mental health as well as your physical health. Stress and subluxations are the cause of many forms of headaches, which can be resolved with specific chiropractic adjustments. 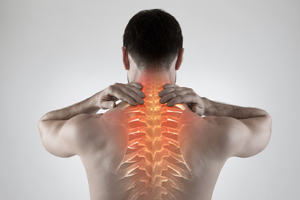 These issues are frequently the result of misalignment or vertebral subluxation. I met Dr. Heather at a health screening at the town fair. From the beginning she was very welcoming. When I enter her office I feel more relaxed. Looking back I realize I was meant to run into her that day, I was somewhat desperate in chronic pain, feeling down and was looking for ways to make myself feel better. I was at my lowest point physically, the chronic aches and pains were wearing me down. I wasn’t sleeping, I was unfocused, unorganized and had limited patience. I have worked in the nursing field since I was 16 and at the age of 18 I had a fall which resulted in chronic lower back and pelvis pain. For years I struggled with the chronic aches and pains, I tried many alternatives which resulted in short term effects. Since I started getting chiropractic care I’ve noticed a decrease in my aches and pains that I have felt for years, I think more clearer, I’m more relaxed and feel more in control of my environment and how I react to it. I have been able to decrease my hypertension medications, and I can better handle life’s stressors. With Dr. Heather’s support I have made positive changes in many aspects of my life. She takes the time to listen and talk with you and help you heal your whole body. She genuinely cares about your health, but most of all YOU! I started my daughter under care soon after I started so she can have a healthier life as early as possible. My husband, mother, and brother now also visit with Dr. Heather weekly; it’s all in the family. We all look forward to our adjustments each week! I am a Lifer!! When I first came to see Dr. Heather I was having sciatic pain down my right leg into my ankle, I was dragging my leg around. The pain was keeping me up at night. Once I started to get adjusted my sciatic pain went away. I also noticed that I feel so much better after my adjustments, I feel like my blood pressure goes down after every adjustment!. I use to think all chiropractors were “witch doctors” and refused to go to them. Now I swear by Dr. Heather and refer everyone I know to her. Some patients may need x-rays or other diagnostic tests to evaluate how your spine and nerves spatially relate and to evaluate the overall health of your spine. If you have any diagnostic tests, such as x-rays, MRIs, or CT scans, please bring them to your first visit. If you would like to book an appointment, please send us an email with your requested day and time to drheather@connectedlifechiro.com. Copyright by Connected Life Chiropractic. All rights reserved.